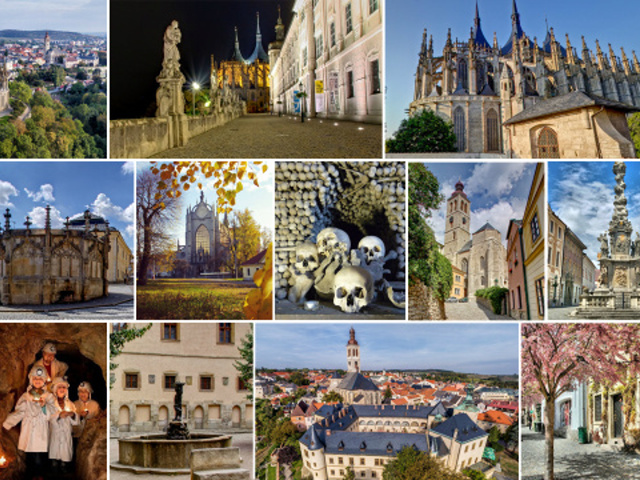 Town tours | Průvodcovská služba Kutná Hora p.o. Guide Services are a reliable partner for your trips to the silver town. Our experienced guides will show you the town and help you uncover its medieval secrets. You can either choose from a wide range of prepared tours, or we can organise one according to your wishes and requirements. Our tours are suitable for large groups as well as individual visitors. Visit one of the most beautiful Czech cathedrals, dedicated to the patroness saint of miners, St. Barbara. Stroll through the town centre and then visit the Ossuary, a chapel famous for its decorations made from human bones. The price includes: The entrance fees per person and the costs of a guide per group. 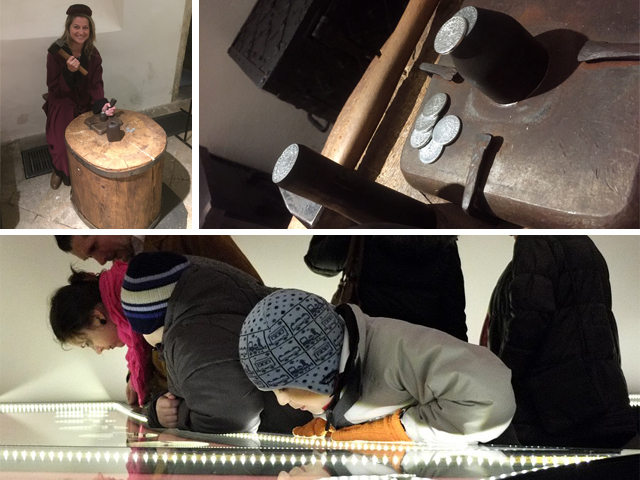 Visit the Cathedral of St Barbara, stroll through the historical town centre and end the tour in the “medieval central bank”, where you will learn how silver cins were made. A more in-depth tour for demanding visitors. 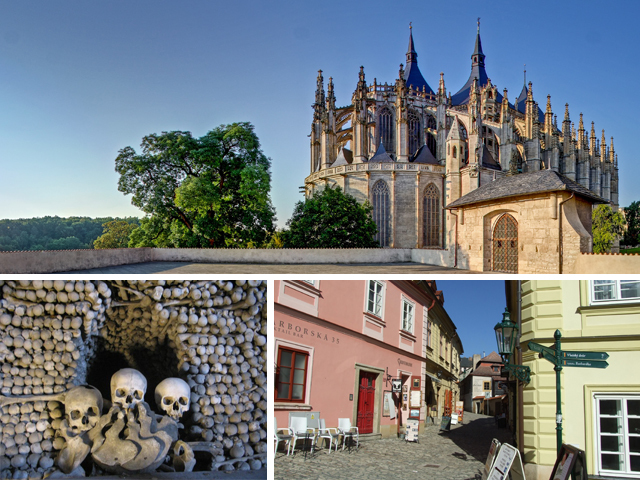 Visit both of Kutná Hora’s cathedrals, the royal mint as well as the renown Ossuary and the adjacent cemetery. 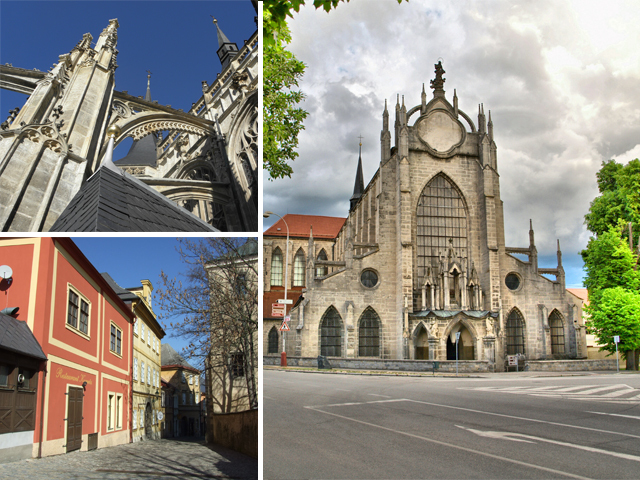 Visit the most important sites in Kutná Hora in a couple of hours. 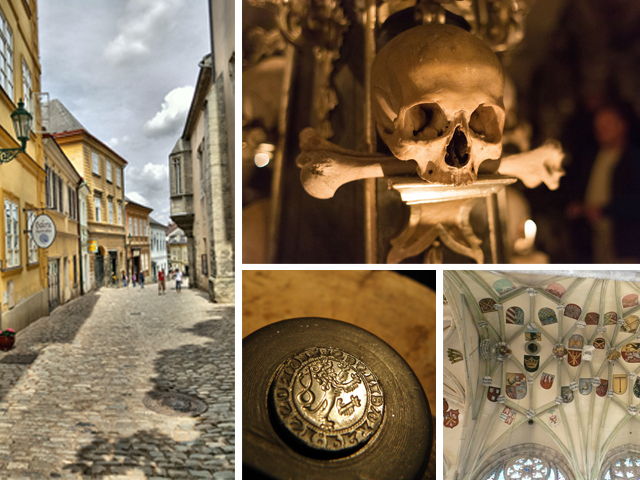 Visit the Ossuary, stroll through the historical centre and see the royal castle. 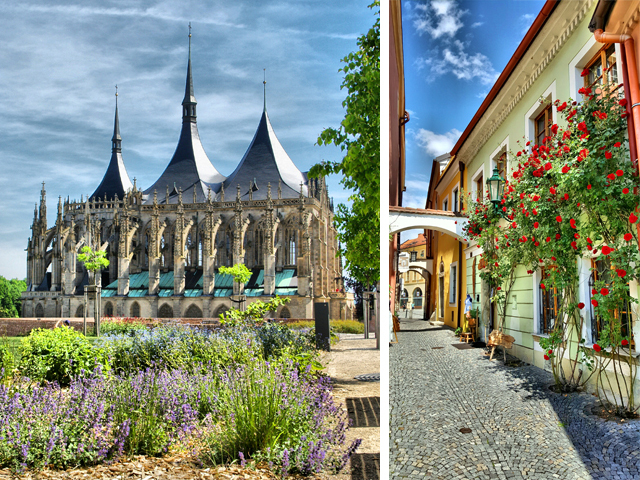 Visit the town of Kutná Hora and its most famous sites and enjoy the cultural experience. 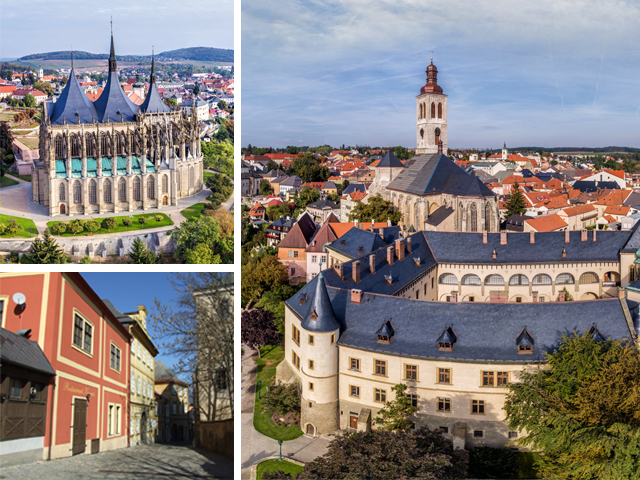 Visit the most important historical sites in Kutná Hora, registered on the UNESCO World Heritage List. Don’t have a whole day to spend in the town? 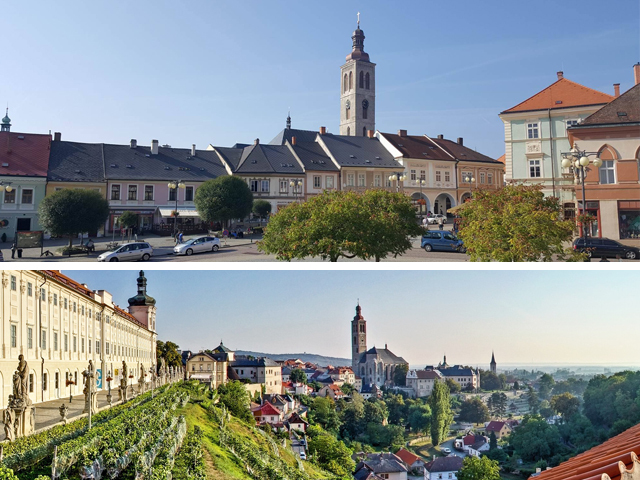 Visit the historical town centre and the Cathedral of St. Barbara, patroness saint of miners. 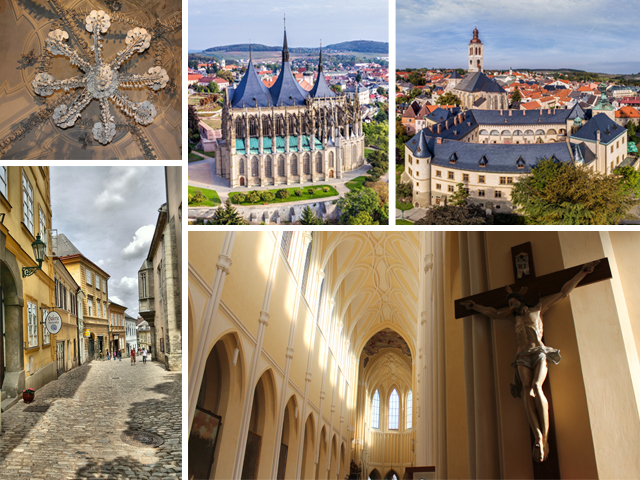 Only have a little time to spend in Kutná Hora? Visit the historical town centre without entrance to the museums and cathedrals. A local guide in a period costume will demonstrate medieval techniques of coin-making. Minimum 12 persons, maximum 35 persons. Price: 125 CZK per person, minimum price 1 500 CZK per group. 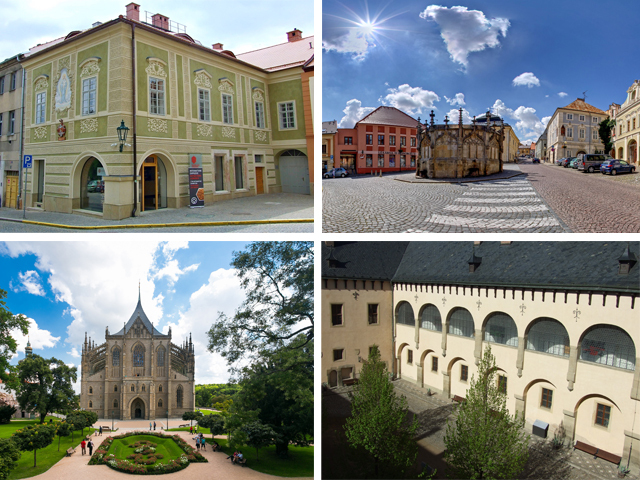 We offer tours in Czech, English, German and Russian. Upon request, we may be able to provide other services in other languages. Binding reservations are to be made in writing at least three days in advance. Please state the number of persons in the group, a contact for the person arranging the trip, the date and time of the tour and the desired language of the tour. If you choose to pay by invoice, please, include the billing details.